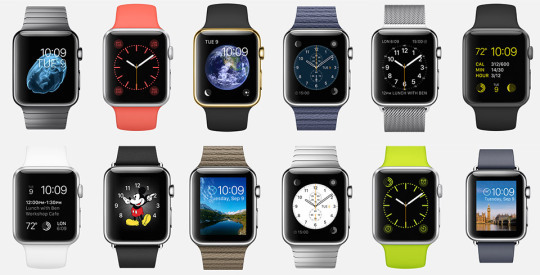 In just two weeks from now, the Apple Watch finally comes to market after months of anticipation and speculation. You may recall back in November, Apple released its WatchKit SDK to developers and companies to ensure there would be a large selection of apps when the wearable computer hits the market. In fact, Tim cook wrote in a memo earlier this week that more than a thousand apps have already been submitted to the App Store. Based on intuition and early screenshots, many of the initial apps will be geared towards communication, news, payments, transportation, health and productivity. Like with any new platform, it’s mind bending to think about the range of apps and services that we’ll now be able to access with a flick of our wrist. The big question that everyone’s asking is: Does Apple still have the magic to create a category defining product that will ship hundreds of millions of units? People much smarter than me believe Apple Watch will be a flop. Additionally, many of the early reviews have been mediocre because the user interface has a steep learning curve. Taking a contrarian angle is understandable given we’ve become tethered and addicted to our smartphones and Apple Watch feels like a nice to have rather than a must have. I personally struggle with making predictions and betting against Apple before a single unit has shipped. What I do know today? Thousands of developers are building apps, Apple Watch is beautiful and hyper personal, and Apple is putting all of its marketing might behind the launch. In my limited experience, that’s a recipe that I probably wouldn’t bet against. Given the developer interest we’re seeing, I strongly believe that thousands of watch-specific apps will emerge over the next few years and several large companies will be built on top of this new platform. I don’t pretend to know what the winners will look like and where value will be created but I do know that RRE Ventures is eager to learn and invest in the ecosystem. As part of this process, we’ve decided to establish the RRE Venture In Residence Program which will initially focus on Apple Watch. The idea behind this program is to partner with one or two “pre-venture backed” startups, provide free office space and mentorship at our office in Flatiron NYC, and learn from each other. An investment is not required or guaranteed but is certainly possible over the life of the residency. Going forward, the RRE Venture In Residence Program will run on a quarterly basis, offering workspace for 3 consecutive months per startup. Each quarter we will announce a new theme in order to attract a diverse base of startups over the course of a year. If you would like to be our Apple Watch Venture In Residence, please complete the application by Friday, April 24th at 12pm EST. Over the course of the next two weeks, we’ll review the applications, meet the finalists and narrow the list down to one or two teams. Our plan is to make the final selection no later than April 30th. Throughout the process, don’t hesitate to email me at s@rre.com if you have any questions, comments or feedback. This is a new experiment for RRE so we’re going into this process with an open mind. As you can probably tell, we’re amped about the potential of Apple Watch and hope to make several seed investments this year. That said, we’re looking forward to seeing how your apps will change the way we interact with the physical and digital worlds.